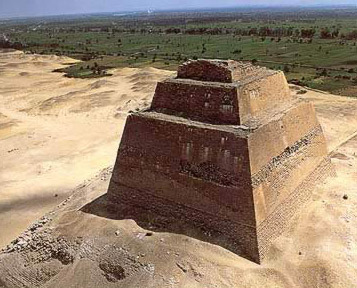 The long standing idea is that Djoser's pyramid began as a mastaba and was enlarged and made into a stepped pyramid then enlarged again. > tower design, despite their state of disrepair. > all OK pyramids (afaik). > design for those pyramids? Possible, however, it does in fact appear G3 was built around a tower core. I think it is more likely the pyramids of Dahshur and Giza are just better made. If the Arabs didn't make the gash we wouldn't know what the core was of G3. > as widespread as you're suggesting. Whether one wants to call them "stepped cores" or "tower cores", as I have shown in pictures, and Rigano verifies, what we have is every pyramid that is exposed and not a pile of rubble has a tower/stepped core. > implications to you if that were true? As I have argued it raises the possibility some of these cores were made as stand alone structures and later converted to pyramids. Maybe many were originally made this way and later converted. The core at Meidum says to me it was made that way as a finished product and at some point later converted to a pyramid. This is obviously the best example. 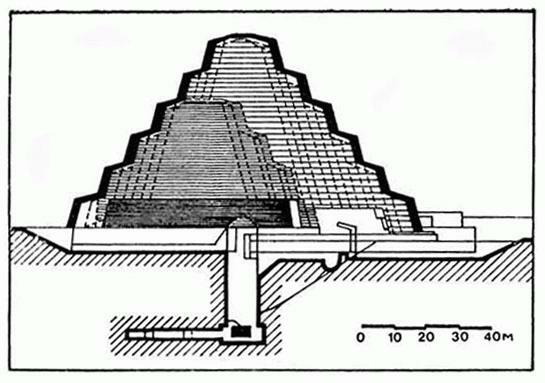 Petrie believed the pyramid layer of G3 was built over a pre-existing structure, which appears to be a tower core, that I have tried to bolster this case. The pyramids of Egypt aren't just building shapes, they are an ideology which at some point it is clear this ideology changed from one to the other. Maybe they first started building towers which when this ideology changed they converted them to pyramids and built new ones around this model.